Delivering The Optimized Customer Relationship: Minimized Customer Service Costs with Maximized Customer Satisfaction: Win-Win! 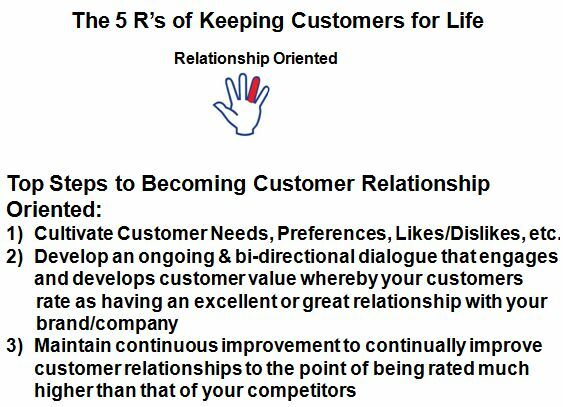 The first step in developing the optimal customer relationship is to define the various major phases in your customer’s journey as they interact with your company (i.e. customer acquisition through customer retirement/closure). 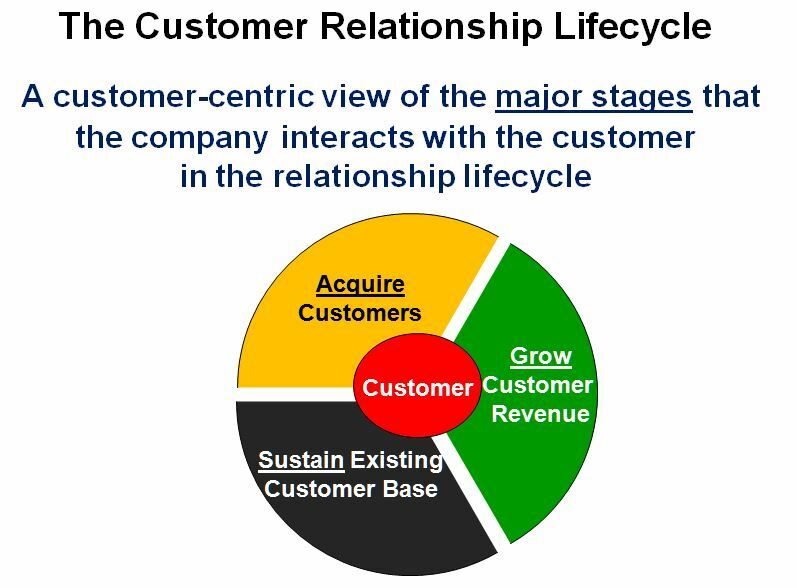 The subsequent steps in the process are to define the phase objectives of each major customer relationship life-cycle stage and to determine the range of customer treatments, by customer segment, that exist within each phase. In addition, in order to arrive at accurate segmentation definitions, a segmentation approach and method must be defined in order to properly develop distinct and meaningful customer segments groups. 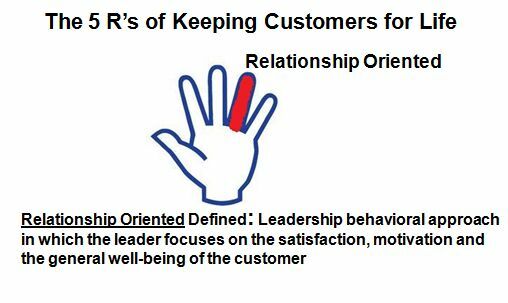 Once customer value segments are properly determined, customer needs and appropriate service levels for those segments can be determined. 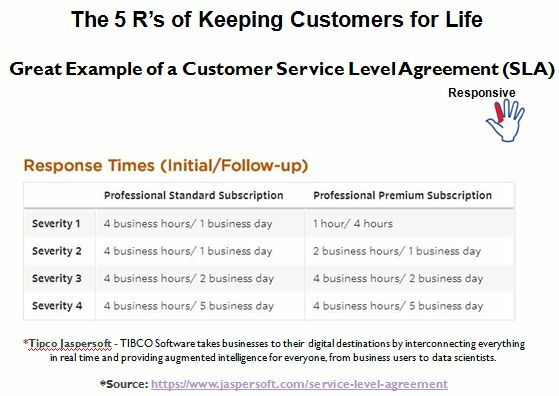 This is important to delivering cost effective service levels that doesn’t over-deliver to customers and ensures a maximized customer satisfaction level for that particular customer segment group. 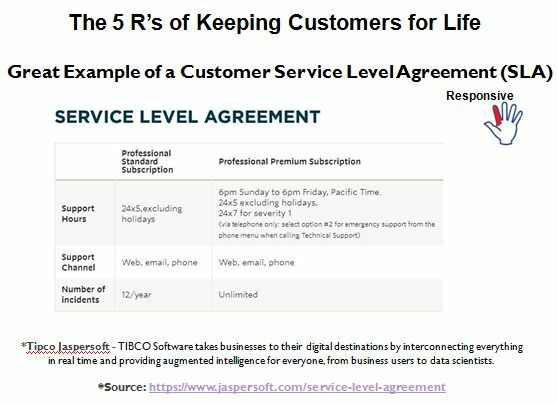 Equilibrium is achieved when customer service costs are balanced with delivered customer satisfaction and customer value (i.e. a company would not want to expend a great deal to over-deliver to a traditionally frugal customer segment with a negative contribution (value) margin). 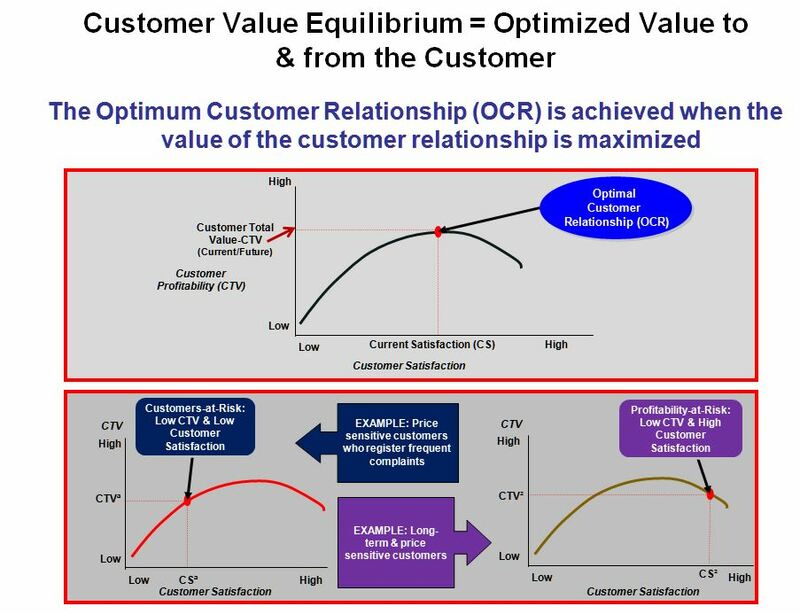 As customers deliver greater value to the company, service and reward levels are adjusted to deliver increasing levels of customer value to maintain market equilibrium and prevent high value customer defection to competitors. 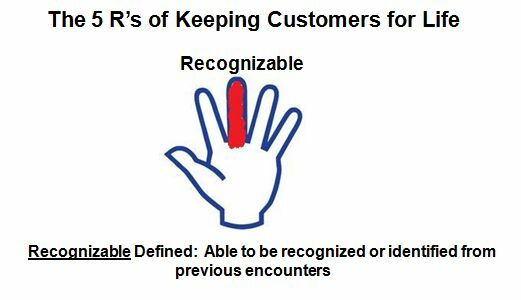 Each customer touch-point needs to be examined to determine the optimal customer treatment approach for each customer segment that interacts with that particular touch-point. 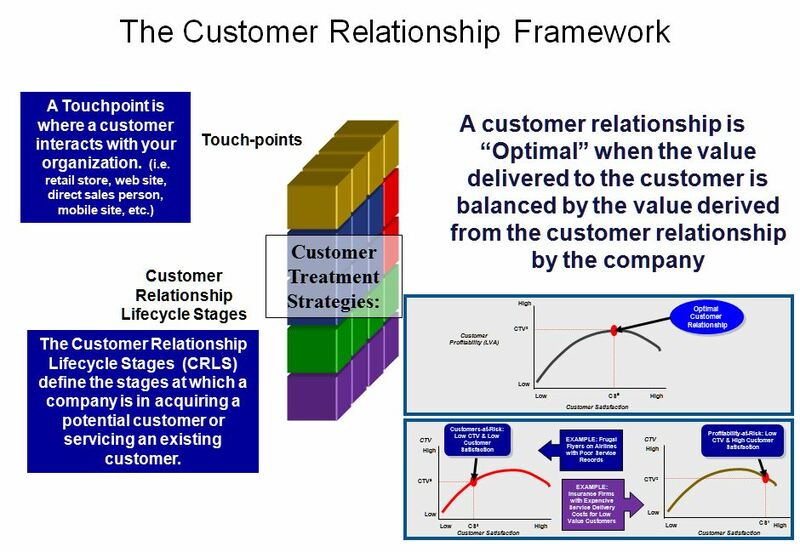 Only then can an econometric model can be developed via a multi-dimensional matrix of customer touch-point, customer value segment and customer relationship life-cycle stage. 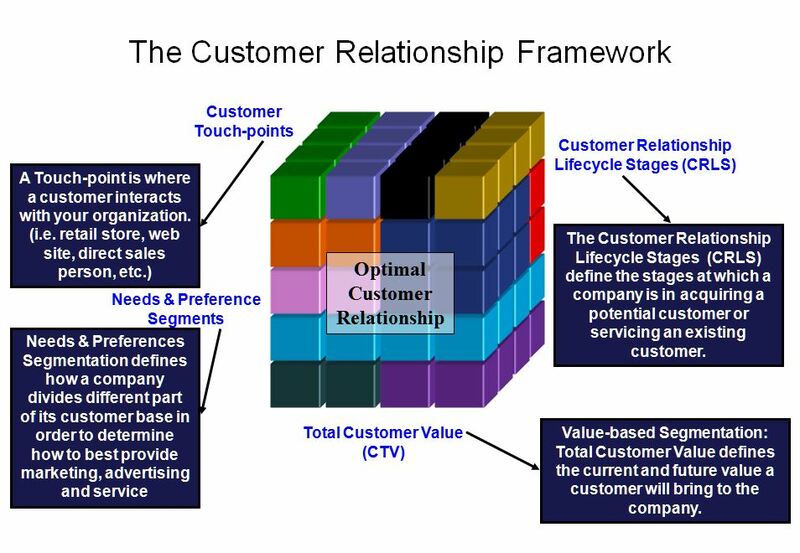 The final multi-dimensional matrix developed should consist of 4 dimensions (comparable to a Rubik’s Cube) of 1) Customer touch-point; 2) Customer Needs/Preferences; 3) Customer value segment and 4) Customer relationship Life-cycle Stages (CRLS). I have found that the best approach to determining the final multi-dimensional matrix developed to be through a series of cross-functional workshops with internal knowledge experts consisting of customer analytics, customer service, marketing, sales, warranty claims (if separate from service) and touch-point subject matter experts like website managers, multi-channel contact center managers, etc. 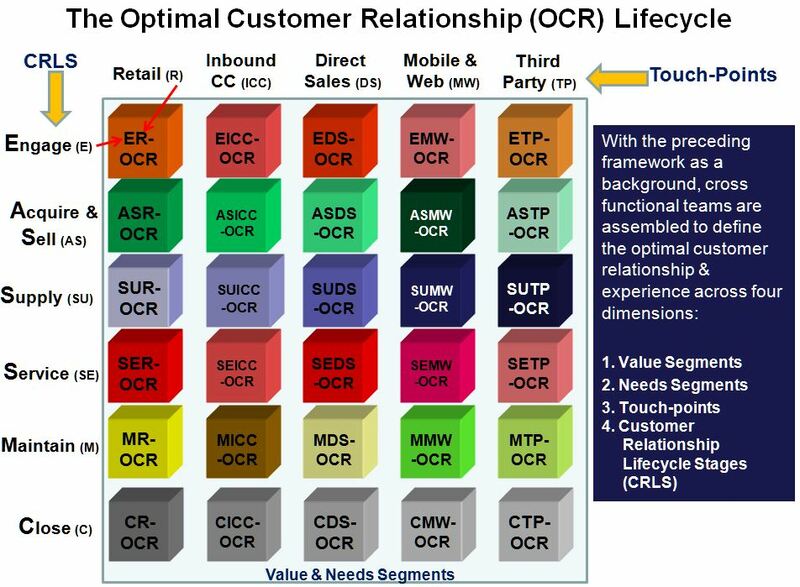 The above is the structure for determining the optimal customer relationship for each segment group per touch-point as they transit through the customer relationship life-cycle stages. 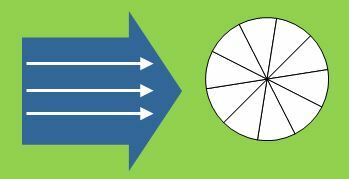 The final outcome is your delivered customer treatment strategy across all touch-points, segments and stages in the customer relationship life-cycle. 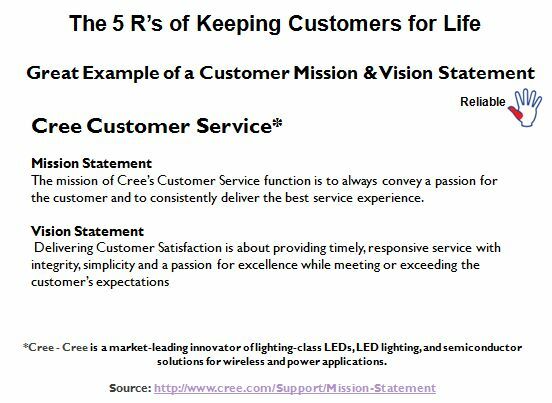 The benefit of this requirements definition exercise is minimized customer service cost at a level that just meets (or slightly exceeds) customer expectations such that high levels of customer satisfaction is delivered at the ‘maximum bang for the buck’. What are the levels of progression of an organization’s customer engagement and marketing capabilities – from the most basic to advanced? What percentage of companies fall into each customer engagement & marketing capability level? What is beyond the current advanced level of customer engagement and marketing capability and the wave of the future? How do you simultaneously and significantly reduce the overall cost of customer engagement and marketing delivery while also significantly increasing your overall customer engagement and marketing effectiveness? What does the future look like in terms of increased customer engagement and marketing ROI? What is the most effective method for creating maximized customer engagement? If you did, then this blog is for you as it succinctly answers these questions and more. 1) Level 1 – “Shotgun Customer Experience”, very unsophisticated, yet inexpensive. Practiced by approximately 25% of companies. 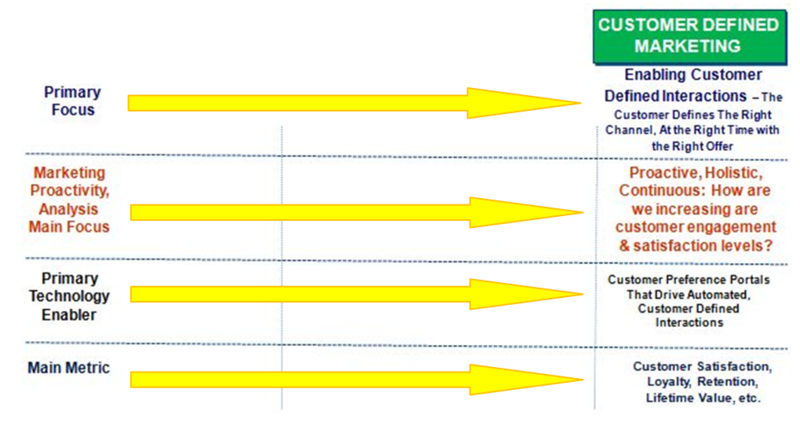 2) Level 2 – “Segmented Customer Experience”, somewhat sophisticated and moderately expensive. Practiced by a majority of companies, approximately 70%. 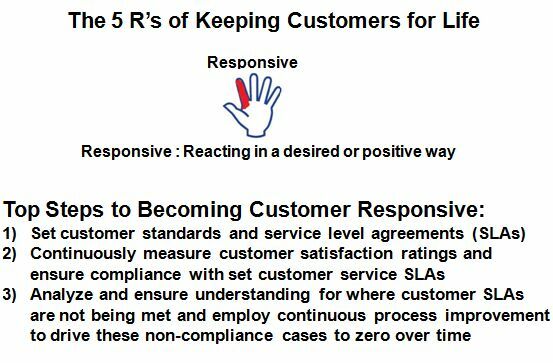 3) Level 3 – “1-to-1 Customer Experience”, very sophisticated & expensive, Practiced by <5% of companies. 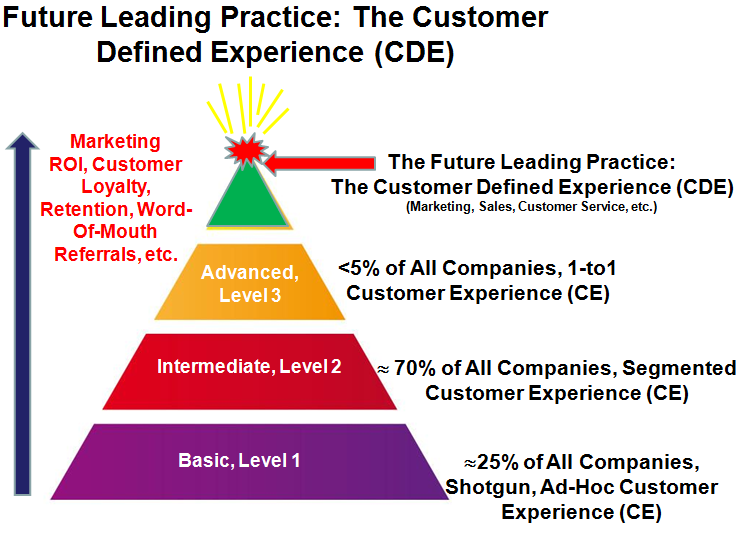 4) Level 4 – “Customer Defined Experience which is an emerging leading practice, only practiced by <01% of companies, but the number of companies that are moving toward this capability level is growing fast. I am predicting that this will be, by far, the most effective method in terms of both ROI and cost effectiveness. Level 1: Primary focus on “Shotgun” marketing (approximately 25% of companies). In this approach, companies send the same offer to as many people as possible with the hope that some of them might take the offer being put forth. With this practice, companies send the same offer to customers and prospects, regardless of their unique interests, needs, wants, history, etc. 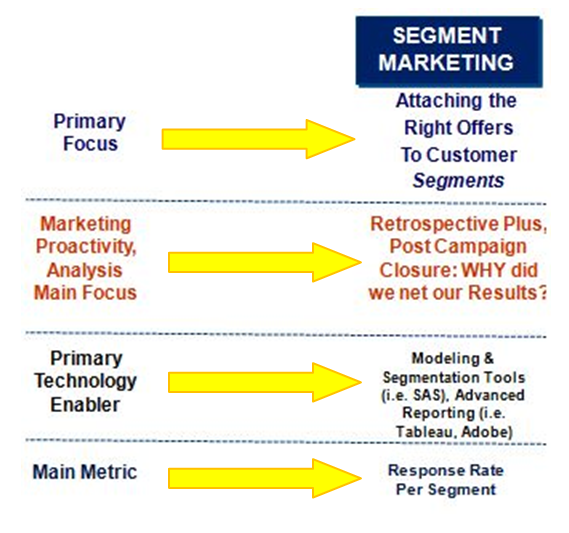 Level 2: Primary focus on “Segment Marketing” (approximately 70% of companies). This approach models the behavior and history of customers in order to group them into unique ‘tagged’ needs groups. They are then sent offers that appeal to that distinct segment group. Level 3: Primary focus on “1-to-1 marketing” (<5% of companies). This approach combines sophisticated modeling techniques and artificial intelligence to ascertain the unique needs of each customer or micro-segments (depending on the level of marketing technology sophistication, pure 1-to-1 marketing might not be able to be achieved). Companies that use this level of sophistication are few and we can point to major credit card companies, Amazon, Google as models utilizing this type of approach. Level 4: Future Emerging Practice “User Defined Marketing”. (<.01% of companies, but growing fast) Companies like Bank of America, Wells Fargo, Marriott and Southwest Airlines are headed in this direction with the increasing querying of their customers on preferences, needs, wants, likes, etc. The extension of this is to allow customers to define their own experience – how/when they would like to be marketed to, by which channel, which content/tone they prefer, etc. As evidenced by increasing numbers of customer insights groups, this is the trend of the future. Instead of expending all of the effort in modeling/AI/etc. to attain 1-to-1 marketing which attains a 80+% match, why not ask your customers what they want/prefer which will ensure a 100% match to their needs nearly 100% of the time? 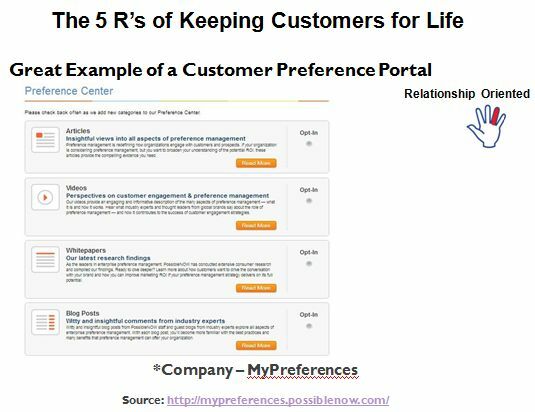 Research I have conducted has indicated that 72% of customers want a more interactive ‘relationship’ with the companies they do business with, including defining their own customer-company experience – across all of their company touch-points: sales, marketing, customer service, warranty claims, etc. More on this point later in this article. Primary Marketing Focus – What marketing activity do organizations at this level of capability primarily focus their efforts? Marketing Proactivity, Analysis Main Focus: For each level of marketing capability, how proactive is the marketing organization and what is the major focus of their marketing analysis? Primary Marketing Technology Enabler: For each level of marketing capability, what are the primary technology enablers in order for them to achieve their marketing goals? Main Marketing Metric: For each level of marketing capability, what are the most important marketing metrics? Expected Marketing Approach ROI: For each level of marketing capability, what is the expected ROI and return on marketing for following this approach. Marketing Proactivity, Analysis Main Focus: The main orientation and focus for organizations at this level is generally a reactive, whereby the main focus is post campaign execution analysis and ‘seeing how we did in terms of number of responses they had to their offer(s)’. Primary Marketing Technology Enabler: As you would expect at this level of marketing capability, technology is generally very basic, rudimentary and inexpensive and would typically include simple and flat file (i.e. Comma Separated Value (.CSV) files) list generation using MS Access or Excel for list generation and very similar and simple spreadsheet type tools for post campaign analysis. Main Marketing Metric: Since the focus noted above is reactive and post campaign focused, the main metric almost obsessed on by organizations at this marketing capability level is response rates (vs. true sales lead creation rates and actual conversion rates). 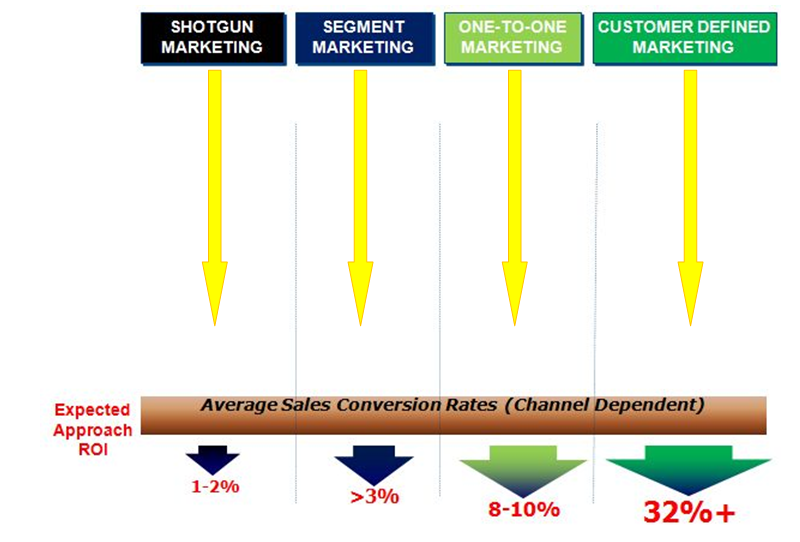 Bottom Line with Shotgun marketing organizations: With approach you save $$ by relying on very unsophisticated marketing personnel, processes, technology but this approach rarely produces a high marketing ROI with response rates generally in the 1-2% range due to the inherent high outbound volume. 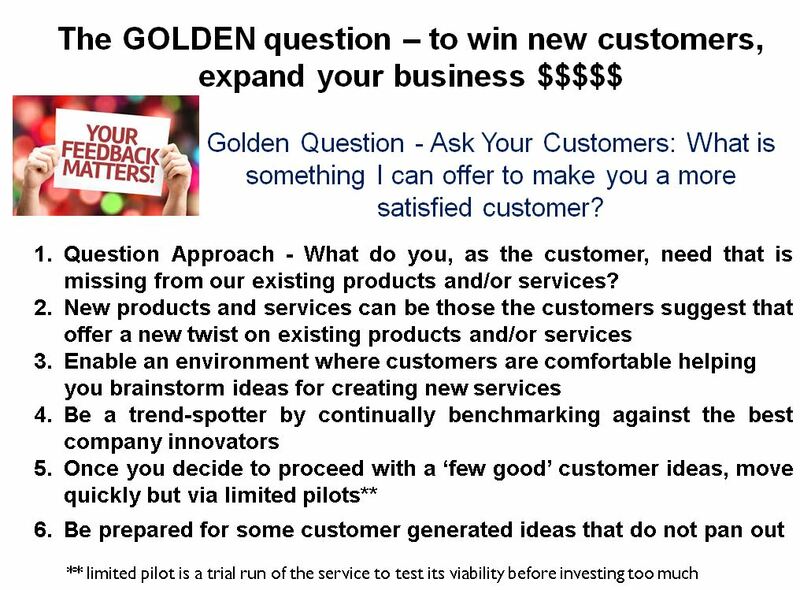 This approach also annoys customers and marketing recipients with mostly irrelevant offerings, products, services, etc., customer risking opt-outs, complaints, ignoring any/all offers by customers/prospects from the same (annoying) company, etc. Primary Marketing Focus: The primary focus for these organizations is to ensure that the right marketing and sales offers are deployed against the appropriate segment group in order to ensure a marketing lift vs. shotgun marketing practices. An example of this is sending the frugal buyer segment offers for saving $$ by buying quantity of product or by sending offers for products that are discounted (i.e about to be discontinued products) vs. full price products. 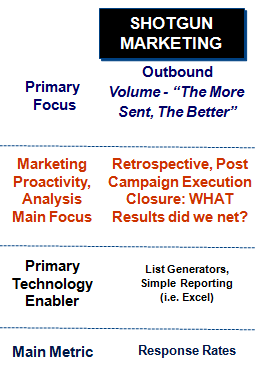 Marketing Proactivity, Analysis Main Focus: The main orientation and focus for organizations at this level is generally what I call a ‘retrospective plus’ organization whereby the main focus is post campaign execution analysis and determining the quantitative results (response metrics, plus perhaps ROI metrics) PLUS the main root cause analysis as to why the campaign yielded in these quantitative results. Primary Marketing Technology Enabler: At this level of marketing capability, technology in use is fairly sophisticated such as using SAS for building segment models and customer deciles and tools for campaign execution like Salesforce.com and post campaign analysis tools like Adobe and Tableau. 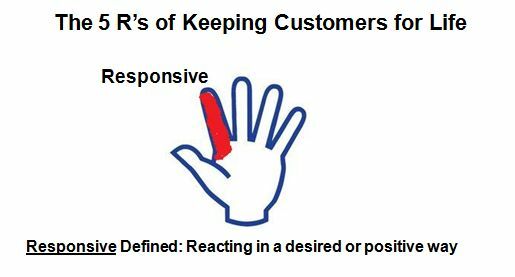 Main Marketing Metric: Since the focus noted above is quasi-reactive and post campaign, the main metric obsessed on by organizations is overall campaign and segment level response rates as well as ROI if the organization has built a direct response attribution model for campaigns (matching campaign responses to actual customer purchases). Bottom Line with Segment marketing organizations: By utilizing this approach you spend more $$ by relying on somewhat sophisticated marketing personnel, processes and technology. This approach also produces a higher marketing ROI than basic shotgun marketing with response rates generally greater than the 3% range. This approach also ensures segments and marketing recipients within those segments are receiving mostly relevant offerings, products, services, etc. in respect to their needs, wants, preferences, etc. Primary Marketing Focus: This strategy strives to ensure that the right marketing and sales offers are deployed against the appropriate individual customer (vs. segment groups) in order to ensure additional marketing lift vs. segment marketing practices. An example of this is recommending a product that uniquely suits and individual customer’s needs when they are your website for another reason (customer service, billing, warranty claim, etc.). Primary Marketing Technology Enabler: The technology in use for 1-to-1 marketing is very sophisticated and correspondingly expensive. The goal is to use artificial intelligence for building individual customer profiles based on observed customer behavior. Automated response engines are then used for real-time customer interactions and offer generation as well as ‘adaptive learning’ algorithms based on offer acceptance/rejection. 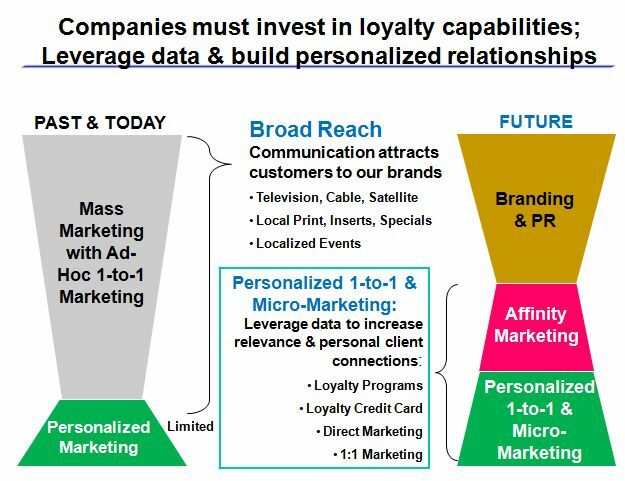 Main Marketing Metric: Since the focus noted in 1-to-1 marketing is proactive and real-time, the main metric is customer longitudinal behavior and associated key metrics like lifetime value, loyalty rates, etc. Bottom Line with 1-to-1 marketing organizations: With this approach you spend a great deal more $$ up-front by relying on very sophisticated artificial intelligence with automated customer analytics and offer engine technology. This approach does produce a much higher marketing ROI than segment marketing with response rates conservatively greater than the 8-10+% range. This approach also ensures customers and marketing recipients are receiving extremely relevant offerings, products, services, etc. in respect to their needs, wants, preferences, etc. 4) When it is warranted to override their current opt-out settings (i.e. critical product defects notifications). 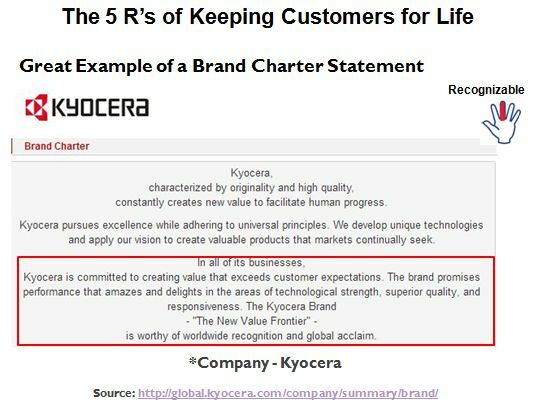 7) …Many more customer defined parameters. By enabling these customer-defined preferences above, you are approaching 100% in terms of ensuring the customer receives the right offer, by the right channel, at the right time, etc. Marketing Proactivity, Analysis Main Focus: The main orientation and focus for organizations at this level of (future) capability is generally what I call a ‘proactive, holistic, continuous’ organization whereby the company is continuously seeking to deliver the desired customer experience with the goal from each customer is rating the company as being rated as extremely open, engaging, encouraging proactive listening, is a good and reliable brand partner, drives high levels of customer satisfaction, etc. Primary Marketing Technology Enablers: With this level of marketing capability, the technology is not as sophisticated (or expensive) as in 1-to-1 marketing, but requires a paradigm shift back to aligning with the basic premise that the customer is always right and enabling customers to self-define their preferred marketing and overall customer experience through preference portals (enabling the self-defined experience) and through business process rule workflow engines like Pega Systems to deliver the customer defined experience. Main Marketing Metric: Since the organizational orientation as noted above is proactive and continuous, the main metric almost obsessed on by organizations at this marketing capability level will be ongoing levels of customer engagement, satisfaction and loyalty. 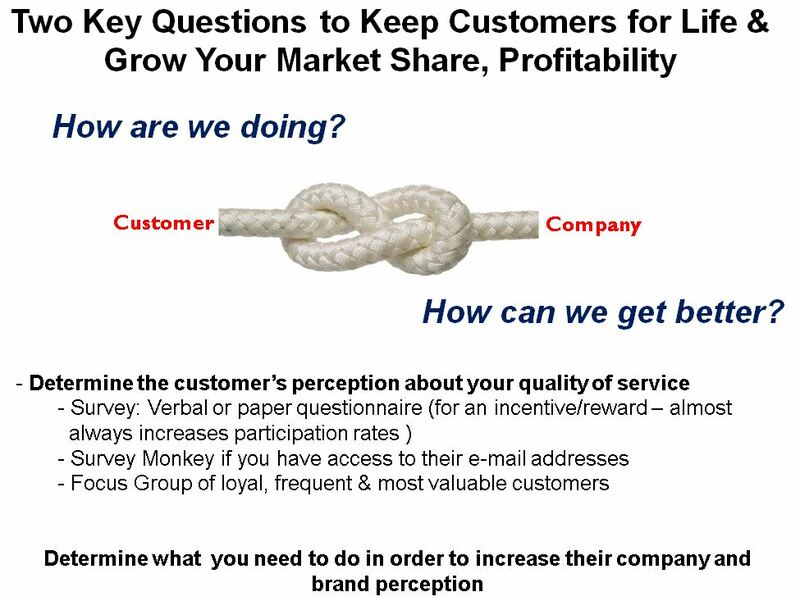 Bottom Line with Customer Defined Marketing (& Experience) organizations: With this approach you spend less $$ by relying on sophisticated marketing personnel, processes, and technology. The strategy is expected to produce a much higher marketing ROI than all other marketing capability levels by enabling the customer defined experience and inherently having 100% accuracy rate (customer defined needs/preference = delivered customer marketing/experience). This approach also ensures customers and marketing recipients are receiving TOTALLY (self-defined) relevant and preferred offerings, products, services, and communications. 1) Not all customers will want to opt into defining their own experience. By using lucrative opt-in incentives companies have been able to achieve nearly 70% participation rates by customers. The remaining customers can be managed by simultaneously utilizing any of the two previous capability levels of segment marketing and/or 1-to-1 side-by-side with customer defined marketing. 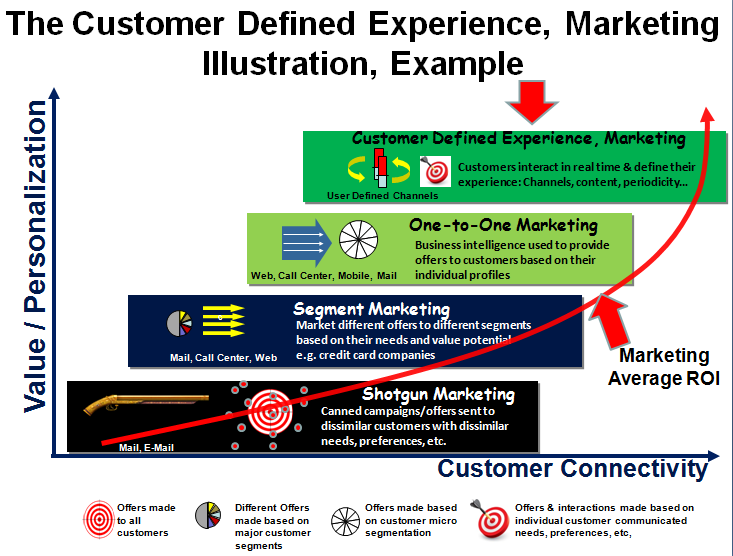 2) Delivering a unique customer experience, once defined, will be difficult. By utilizing automated work-flow and business rules engines in conjunction with marketing automation and service automation tools, pathways (e.g. customer use cases) can be set up to automatically deliver the desired customer experience for sets of customers with the same defined preferences. 3) The customer really doesn’t know what they want. I constantly hear from business leaders and CxOs that the customer doesn’t really know what they want/need so why waste the time and expense to ask them. 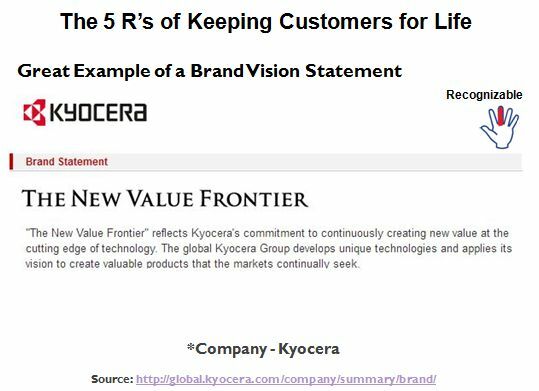 These are the same executives who are shocked when I provide customer insights or focus group feedback that consistently and totally contradicts their own perception of how the customer perceives their company and brand(s). 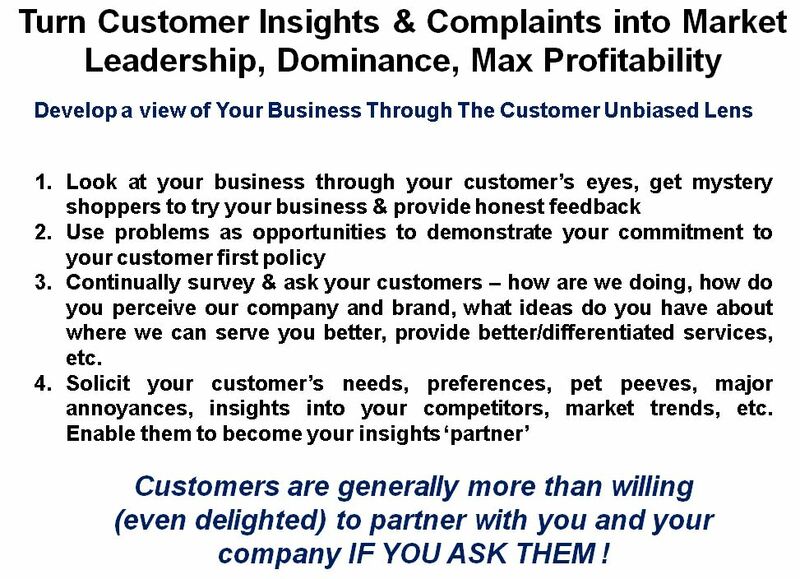 I applaud the business leader brave enough to ask for these insights since the majority of business leader tout their great pulse on their customer base to internal stakeholders without ever validating these claims with actual customers. In addition, customers today are extremely savvy, sophisticated and aware and want to be in control of their own company/brand experience. Therefore, the bottom line is that customers today are very eager to become a brand-partner provided you ask them, allow their direct company-brand participation. The above graphic points to the fact that, with every increase in marketing sophistication and accuracy in providing your customers and prospects what they need/prefer, the increase in ROI also rises dramatically. The holy grail of this is the practice of Customer Defined Marketing and the abandonment of the expense and exercise of hypothesis building and refinement (iteratively guessing at what your customers want/need) and simply providing a conduit in order that your customers tell you precisely what they want/need/prefer. My research has shown that over 70% of a typical sophisticated customer base is more than willing to tell you what they want/need from your company. Join the ranks of market leader like Wells Fargo, Marriott, Southwest Airlines, Ritz-Carlton, Bank of America and many more joining the customer defined experience future who query their customers on their wants, needs, preferences, likes/dislikes, etc. 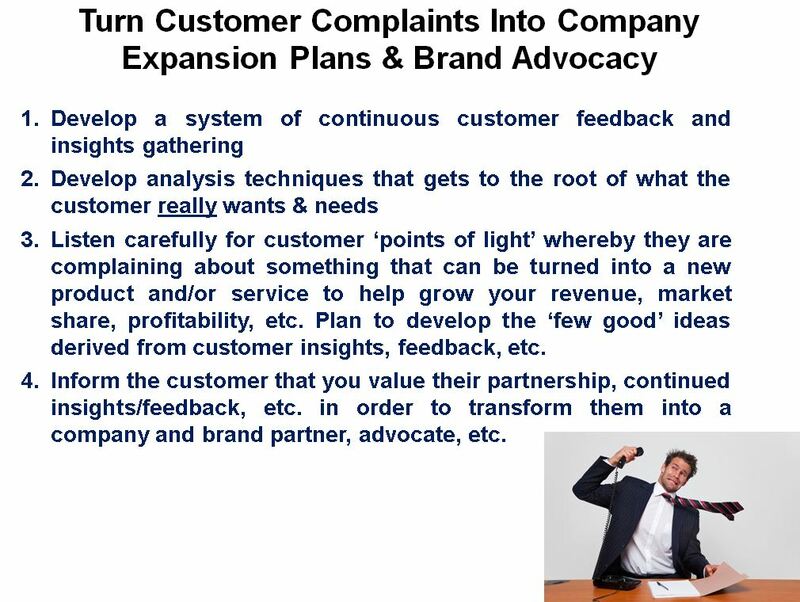 Therefore, instead of your company spending a great deal of $$ on ever more sophisticated hypothesis building (intelligent guessing) what your customers want and prefer, just simply ask them and join the ranks of these market leaders that are participating in the emerging practice of the future – the customer defined experience. 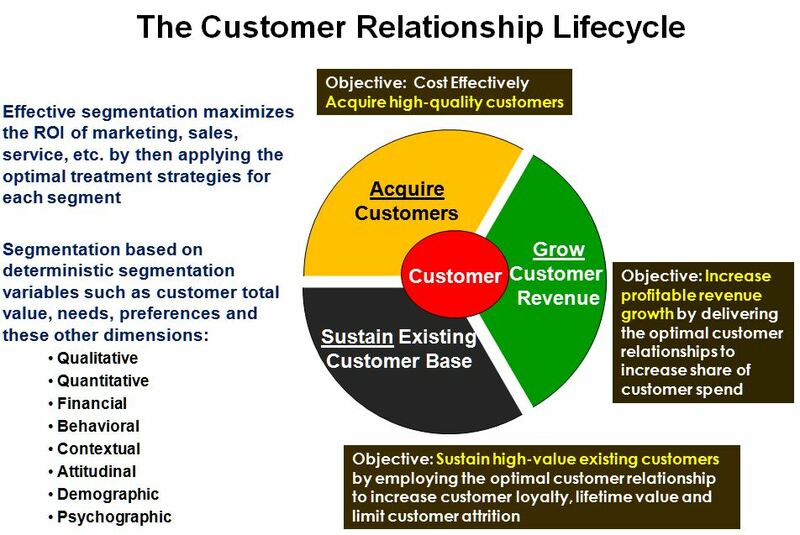 What are the basic building blocks of an effective customer strategy ecosystem? What is the function of each process in this customer delivery ecosystem? What are the critical questions that must be answered by each function in this ecosystem? How can you develop an effective customer strategy that delivers maximized customer satisfaction simultaneous to maximized profitability? What is the checklist to ensuring your customer strategy and delivery is effective? 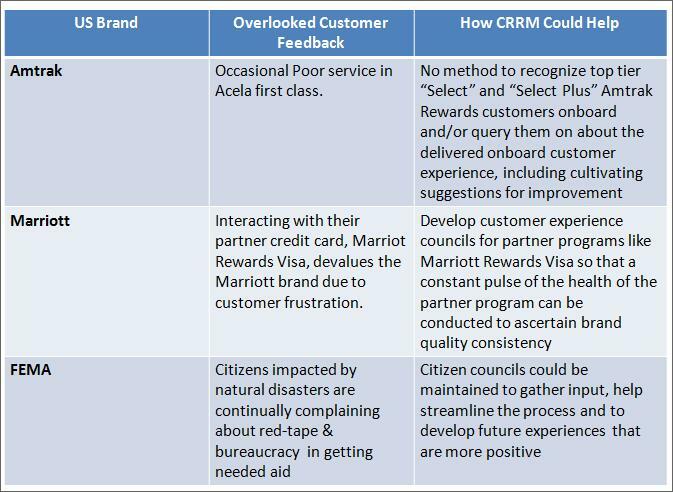 Above are the basic building blocks to delivering an effective customer experience. Each process is designed to work in an ongoing continuous ecosystem (loop) in order to deliver a personalized customer experience that matches the customer’s current and future needs, preferences, etc. Let’s examine each process and how it supports the overall infrastructure model. 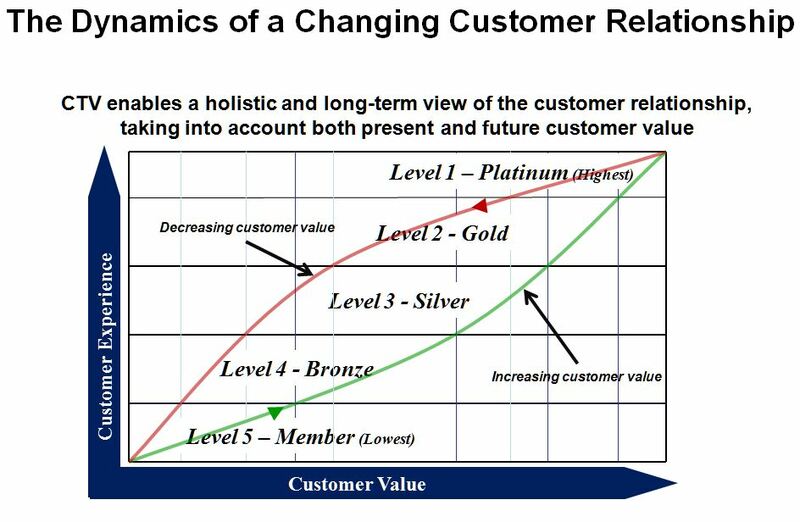 Segment – the analogy for the segment process is that the more and differentiated customer knowledge you have, the better you will be able separate customers into unique needs groups in order to deliver a unique experience that they truly value. Separate – Once you have effectively segmented your customers and prospects into unique needs groups, you can then start to separate them in order to deliver differentiated and 1-on-1 treatments that are uniquely valuable to each of those customer segment groups. Satisfy – The next step in the process is to deliver content and programs that deliver value, not only to the needs of the overall segment group, but also delivers value to every customer sub-segment within the overall segment group via program sub-segment delivery structures. This is accomplished by delivering customized 1-to-1 customer programs that effectively leverage the unique customer insights gathered (history, needs, preferences, likes, dislikes, previous pain points, etc.). 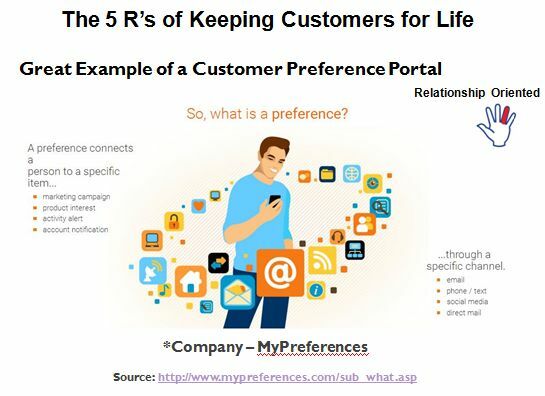 Segment – What specific data elements and insights can we leverage or collect to increase our ability to develop unique customer treatment groups. Separate – Which customer groups does it make sense to develop and deliver differentiated treatment strategies based on profitability models? Satisfy – What are the optimal customer treatment strategies that can simultaneously optimize customer profitability, loyalty, brand advocacy and customer growth objectives? Stratify – How do we deliver a progressive and tiered customer program to differentiate ourselves vs. our competitors and grow our market share? Summary: You might read many complex articles on what a good customer strategy should be based on, but the above basic foundational building blocks are a simple way to start thinking about your customer ecosystem and what corporate capabilities need to be put in place to deliver effective customer and market success. What is the size of the potential pool of new customers and which are the best customers to acquire? 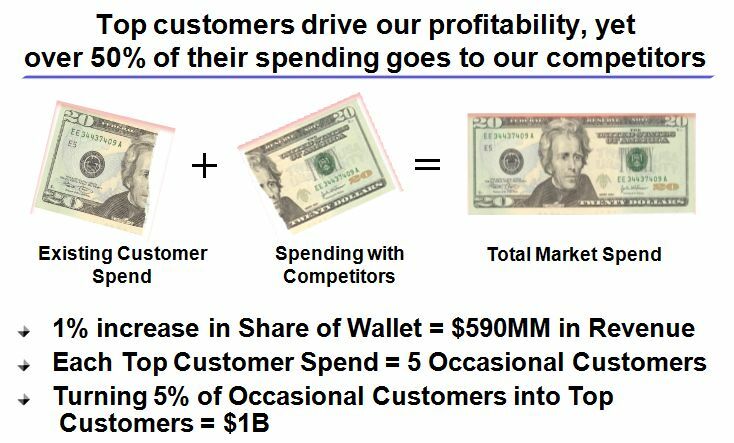 Which customers are your most profitable and how do you get other customers to grow and become part of your top ( and most profitable) customer segment group? What is your current customer share of wallet (SOW) as compared to your competitors and what does driving small incremental increases in your customer SOW do to your overall revenue? 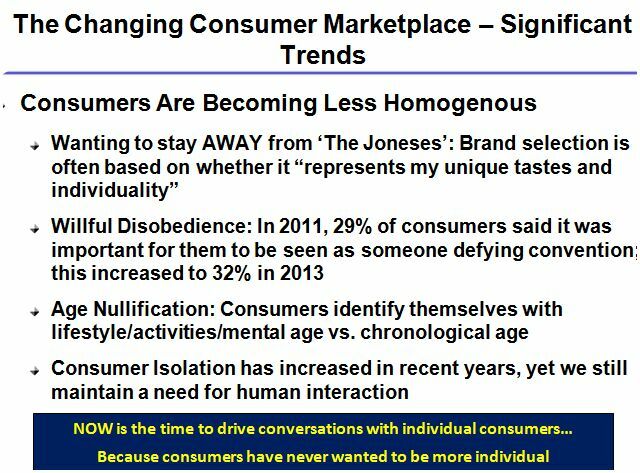 What are the shifting attitudinal and behavior patterns of your customer market and how do you develop a strategy that ‘gets in front of’ these trends? 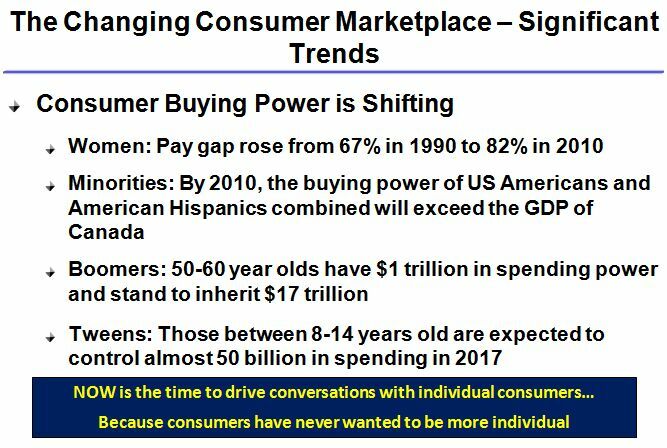 The above charts illustrate why it is critically important to have clear and accurate insights into your new customer market potential/pool as well as the current customer base and their share of wallet. 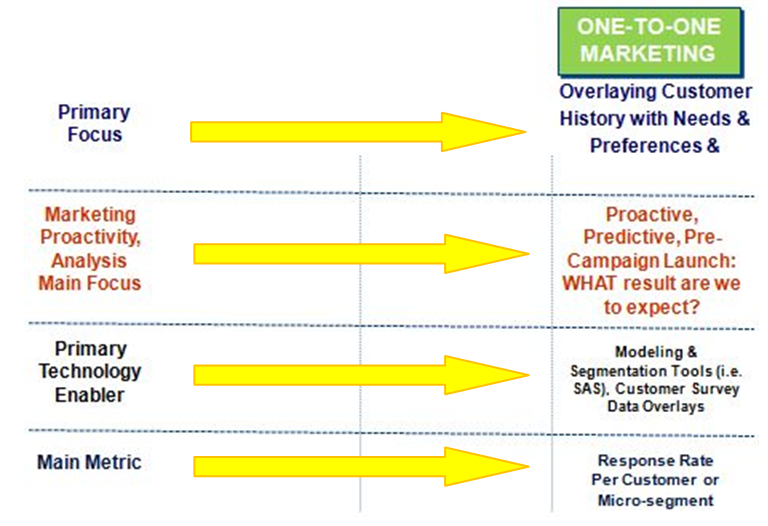 The chart above (left side) details the trends for new customers by segment as compared to current customers. 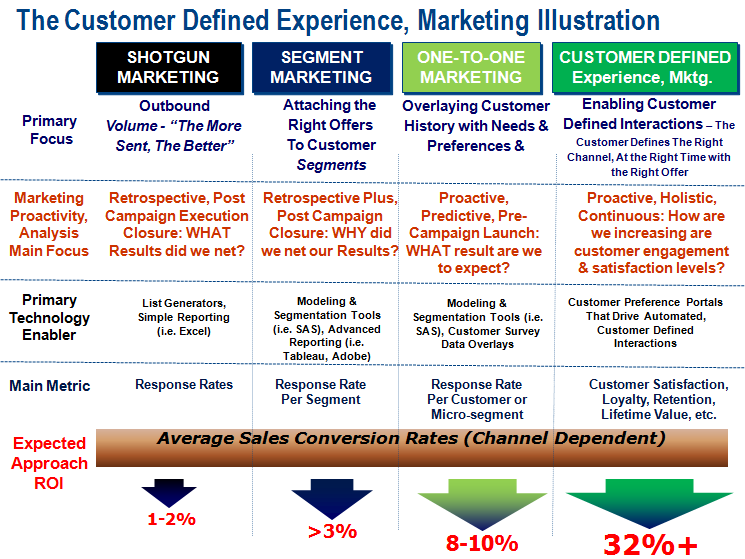 The chart above (right side) illustrates which customers drive the current percentage of revenue in order to understand how customer priorities and strategy should be defined. 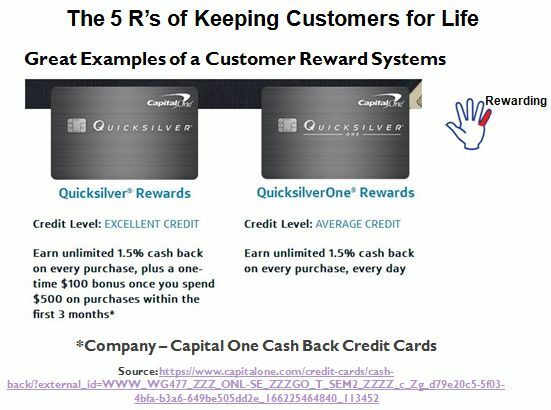 The above graphic illustrates how share of wallet changes drive bottom line revenue as well as converting customers into more loyal top customers. 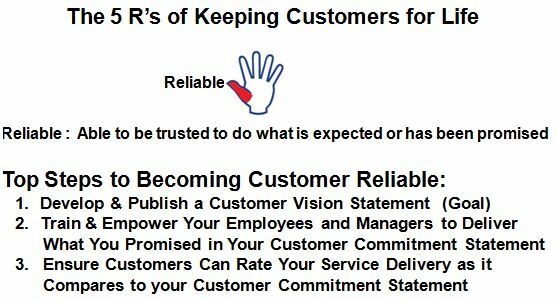 The 2nd “R” of Customer Loyalty Is Ensuring That Customer’s Expectations Are Met: Needs, Concerns, Quality, Cycle Time Expectations, etc. 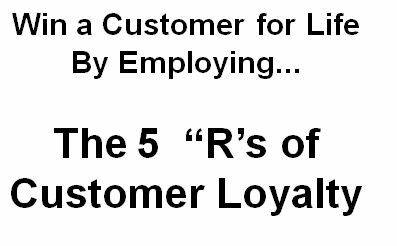 The 3rd “R” of Customer Loyalty Is Ensuring That Your Brand and Company has Distinctive and Positive Characteristics such that it drives positive emotions (driving repeat business, customer referrals, word-of-mouth adverting, etc. 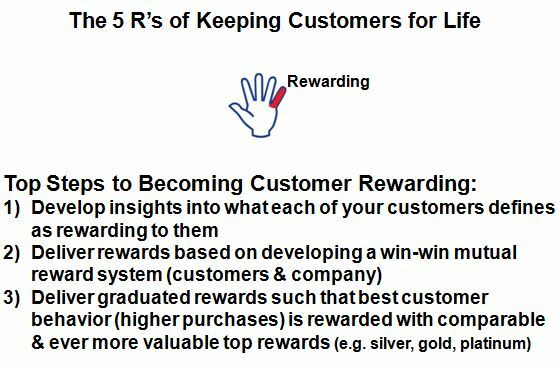 The 5th “R” of Customer Loyalty Is Ensuring That Your Brand and Company rewards mutually beneficial customer behavior (greater share of wallet, spend, brand partnership activities, etc.) such that it drives further and longer-term customer loyalty. 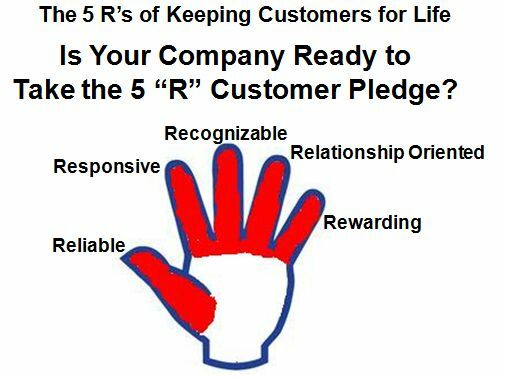 Is Your Company Ready to Take the 5 “R” Pledge? 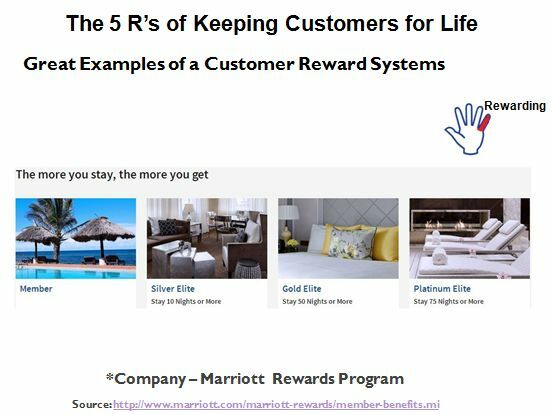 SUMMARY: If you take the pledge above to adhere to the 5 R’s of customer loyalty, you will enhance your ability to attract and retain customers for life. 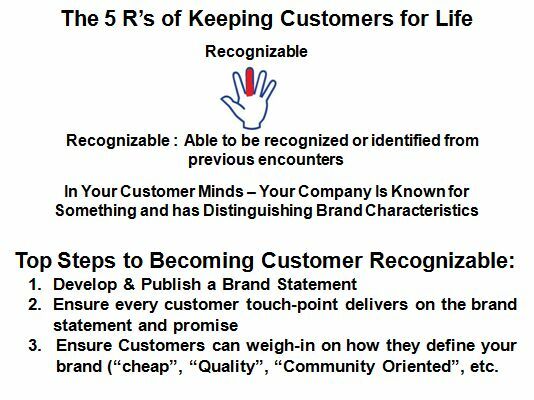 Key to this is developing the capabilities to be best in class for each “R” and ensuring that you are (cost effectively) maintaining a major qualitative advantage in each customer R vs. your competitors. Do you have a robust CRM program in-place, but you feel you are still missing the mark in terms of delivering what your customers really want & need? Is your organization at risk of making market decisions that can cause a backlash and mass defection by your customers like the Bank of America $5 fee decision or the Netflix business split decision? Do you have volumes of consumer data and analytics, but sales are declining or flat and customers are churning at an increasing rate? 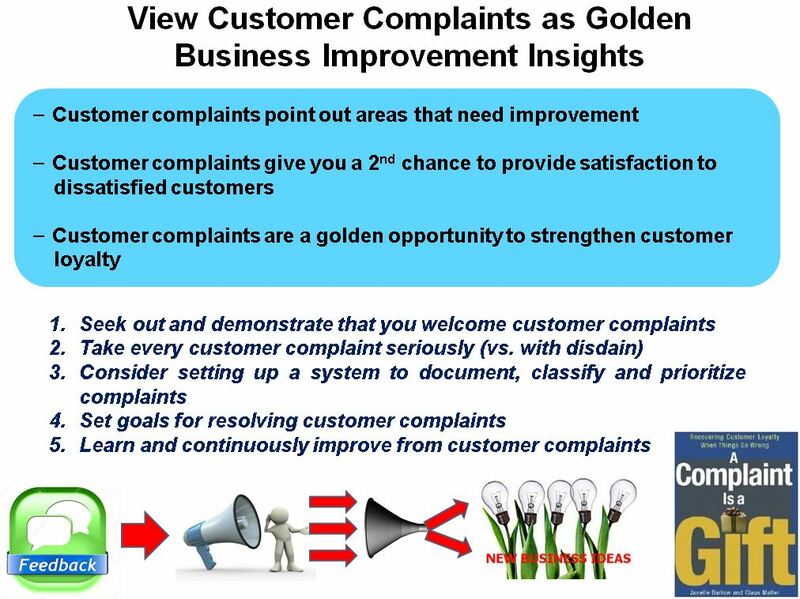 Do you feel you could improve the quantity and quality of your customer insights including ascertaining critical consumer needs, preferences, likes/dislikes, interests, preferred communication channel for you to contact them, preferred timing and frequency for you to communicate with them, etc? 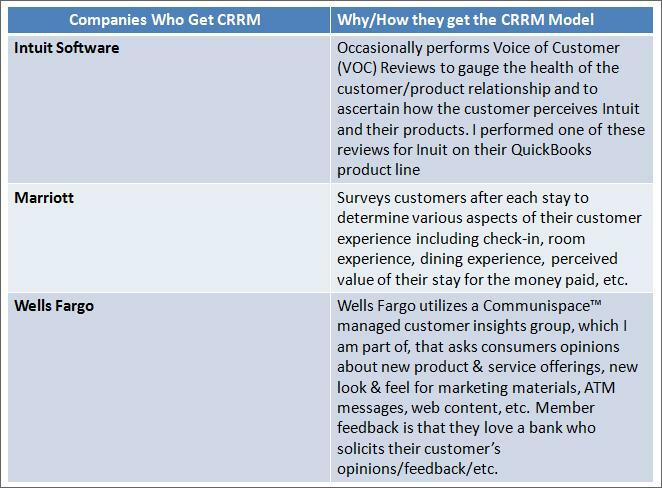 If you can say “Yes” to any of these questions, the rest of this post is a MUST READ for you and it is time to consider this more effective CRRM Model to replace your outdated CRM Model. 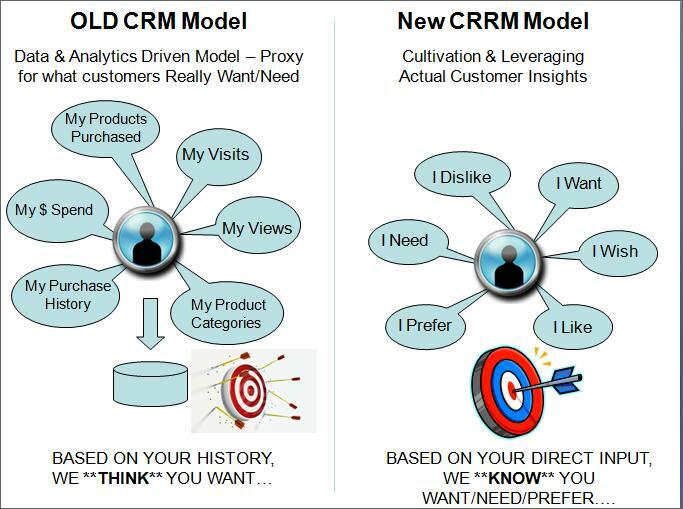 The following diagram depicts the major differences between the old CRM Model and the new CRRM Model including the problems associated with the old CRM model and benefits of the newer CRRM model. Relies on historical data and analytics to determine what customers need, want, etc. by the analysis of sales history, types of products purchased, categories of products purchased, views on websites, stores visited, etc. Customer activity information is a proxy to what customers really want and need. Example, you will seldom learn that a customer hates an in-store or web experience through this proxy for what they are wanting, feeling, needing, disliking, etc. Companies are unlikely to gain insights into the impact that any future company decisions will have on customer loyalty, retention, acquisition. Takes a more direct approach with customers and utilizes a systemic querying method to ascertain exactly what customer want/need/prefer/etc. 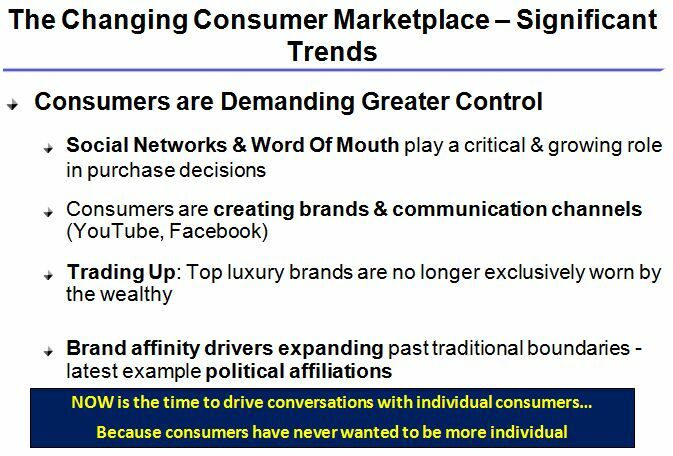 Embraces customer councils, customer forums, customer voting to drive future content, interactions, product/service offerings, etc. 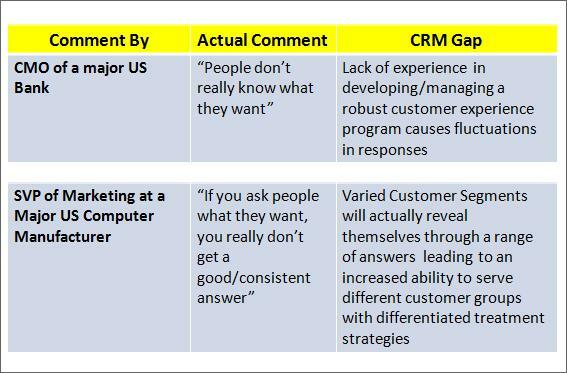 To illustrate how companies are struggling to really determine the real needs of their customers, I took selected comments from interactions with senior CRM executives from major US Corporations based on consulting engagements, job interviews, speaking to them in passing, etc. 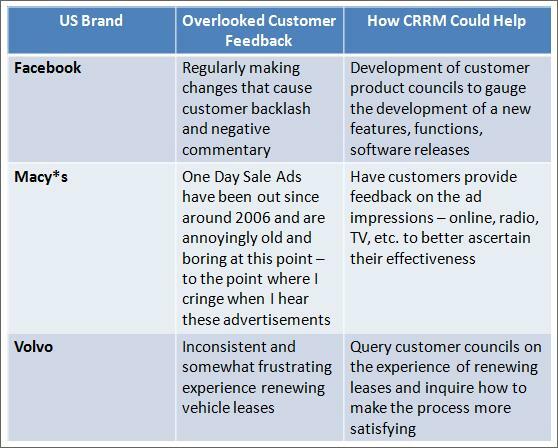 The following charts are their actual verbatim comments as well as my read on their CRM gap that prevents them from developing world-class relationships with their customers. Relies on data, analytics, and customer history to drive on-going customer interactions. Puts the organization at extreme risk of missing the boat from a customer’s perspective – real needs, wants, concerns, preferences, experiences, etc. 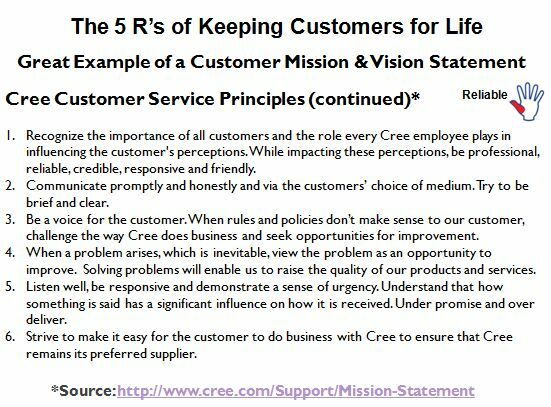 Companies that rely on this model are at-risk of customer defections, decreased customer spend/loyalty, etc. 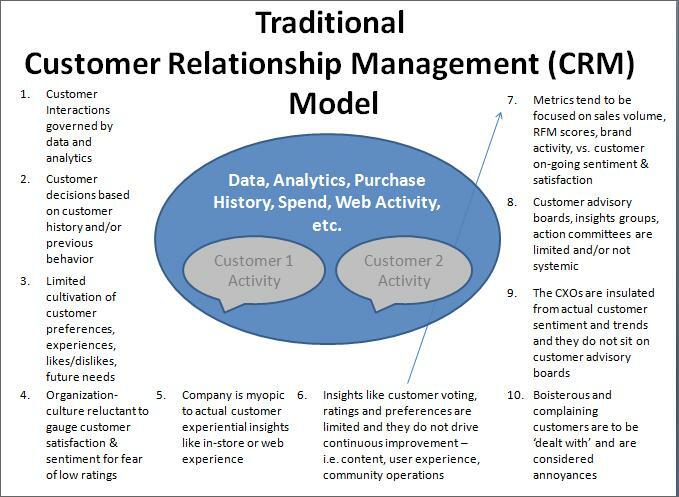 The organizational culture, operations, and go-to-market strategy puts the customer and real customer insights into the center of CRM operations rather than rely on the proxies of what customers want, i.e. data, analytics, and customer history. The customer becomes the actual judge, ‘rater’ of whether you are delivering quality, value and a good relationship to them. 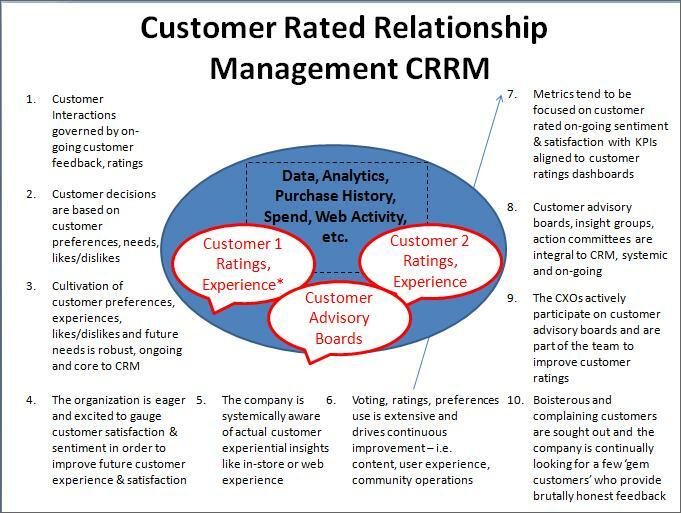 The customer is put in charge of CRM operations and enables a bi-directional and on-going dialog with the customer whereby they tell you their real needs, wants, concerns, preferences, experiences, etc. 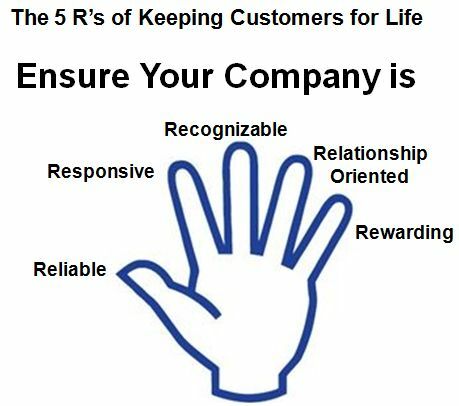 Companies that rely on this model are more likely to develop products, services, offers, communications that delight the customer and whereby they are more loyal, greater brand advocates, and likely to refer your company to their friends as a company who listens, cares and empowers their customers. 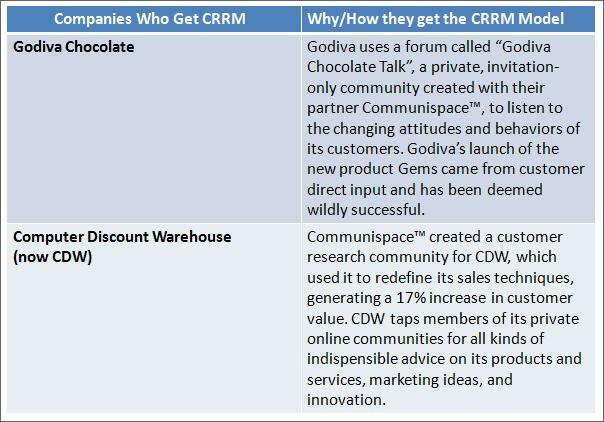 The following are samples of companies that, in my opinion, get the CRRM model and details how/why each of them get this new go-to-market customer model. We don’t hide behind data and analytics to drive our customer & CRM operations, but rather we ask our customers what they want. Before we make any major market-facing decisions, we ask a cross-segment of our customers what they think about each of our proposed decisions and then ask them how to improve upon how these changes are implemented so we ensure a continued delighted customer base. 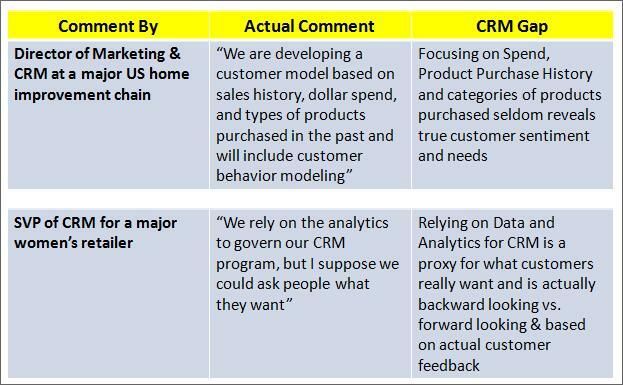 The bottom line of this post is that, if your company relies less on historical data and analytics to determine what customer want and actually builds methods, processes, and systems to put the customer in charge of rating CRM operations in order to provide you with ongoing and valuable real insights (needs, wants, likes dislikes, preferences, concerns, etc. ), the customers will feel more valued and connected with your brands. 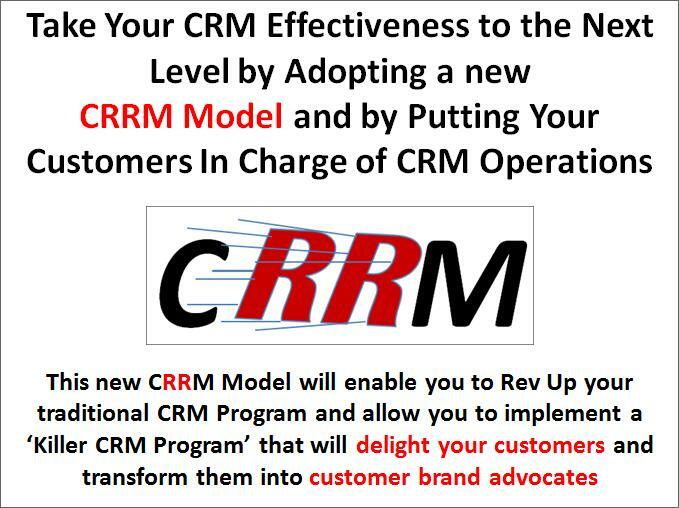 The benefit of adopting this new CRRM model will be more loyal, empowered and delighted customers who will be brand advocates and brand referrers that will increase shareholder and company value. 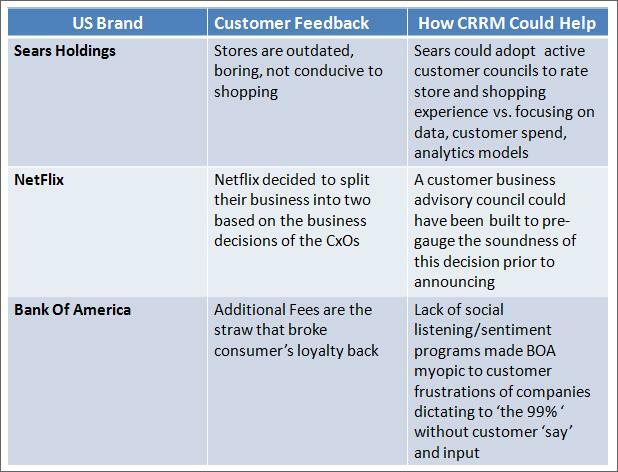 As I have now built this new CRRM model for several major US brands, my next blog post will be on ‘how to’ develop this capability at the enterprise level.